Vicky Lewis Consulting was established by Dr Vicky Lewis in June 2013 to provide an expert consultancy service to educational institutions with international ambitions. personal attributes including incisive thinking, willingness to listen and learn, translation of strategy into tangible actions, and the ability to engage and motivate a wide range of stakeholders. She has direct experience of engaging with students, partner organisations and other stakeholders in South East Asia, South Asia, East Asia, North America, Africa and Europe. A University of Oxford Modern Languages graduate, Vicky has 20 years’ experience in the UK HE sector, starting off in Wales, then moving to Scotland before settling in southern England in 2000. Internationalisation has been a constant thread in all her roles which have ranged from establishing an International Office from scratch to leading an 80-person Marketing & Communications Directorate at Bournemouth University. She has 13 years’ experience operating at University Leadership Team level and leading organisation-wide initiatives, including development of institutional marketing and internationalisation strategies. Vicky completed a Doctorate of Business Administration (Higher Education Management) at University of Bath in 2007. 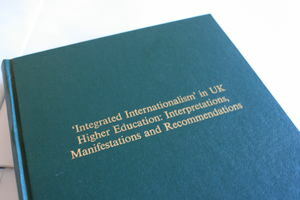 Her doctoral thesis examined the motivations, strategies and approaches to internationalisation embraced by UK higher education institutions. She is a graduate of the Leadership Foundation for Higher Education’s Senior Strategic Leadership Programme and has completed a Coaching and Mentoring Masterclass. Vicky is part of the 'network of experts' associated with The Brenn-White Group, a New York-based consultancy specialising in marketing communications for internationalisation. 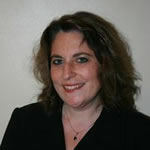 She is also a Consulting Fellow with Halpin Partnership, a leading UK-based higher education management consultancy.